If you’re looking for an exceptionally spacious residences, 580 Anton has a wide array of beautiful new residences to offer you. 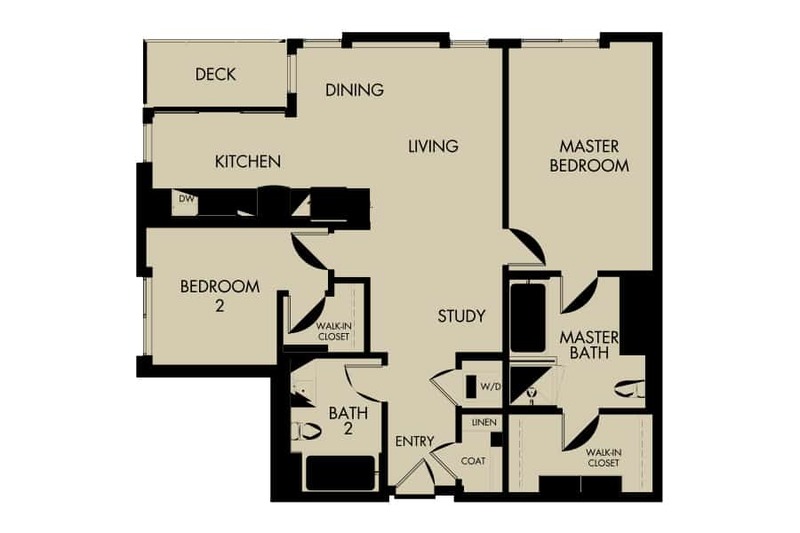 If you’re looking for a sophisticated 2-bedroom residence, Plan C5 is a wonderful choice. This residence is a 2-bedroom, 2 bath apartment that spans 1,223 sq. ft. The main living space separates the bedrooms for added privacy. Unique features include a study and private deck. The master suite includes an expansive walk-in closet, elegant soaking tub, and separate enclosed shower. Bedroom 2 also has a walk-in closet. Both the kitchen and baths are fully appointed with hand selected finishes and modern fixtures. Take the first step to dream living in South Coast Metro and apply now!